18 second exposure in Arches National Park, Utah. The light trails are from people leaving the arch and passing by me. 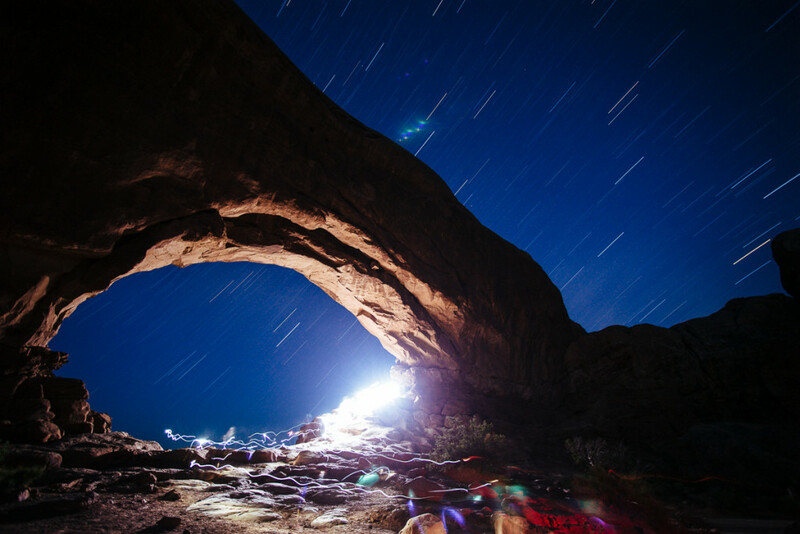 The bright light in the arch is from someone using large flashlight and often shining it towards me. A phenomenal location – highly recommend visiting!